Melbourne Australia is not just what you see at first glance  it has many faces. Your Melbourne holidays can be anything: a great family holiday, a romantic getaway, an art trail, a sports tour, or a shopping spree. Melbourne is a great city to stroll through. Because of its wide streets, trams and intimate lanes, it does not have the stress level of other cities. I enjoy walking through town, particularly through the intricate lanes and arcades. The city offers a great opportunity for window shopping, coffee, and to experience Melbournes mix of 19th century and modern architecture. To get orientated, a stroll through Federation Square and along the Yarra is a must. At Federation Square you also find the Melbourne Visitors Centre where you can find out whats on at the time in Melbourne. However, there are many interesting places you will miss just walking along. Depending on your interests and length of stay, there are different possibilities for your Melbourne itinerary.  But if you miss out, you can always come back! 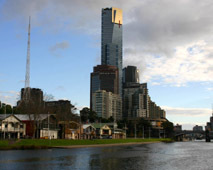 Check out Melbourne tourist attractions and Melbourne tours , or find out what's on in Melbourne. Holidaying with children can work very well in Melbourne Australia. There are beaches, parks, lots of playgrounds  as well as the special things to do like Luna Park, the Aquarium, Scienceworks museum, river cruises or hiring canoes on the Yarra. As a family I would stay in St Kilda. From there its a ½ hour tram ride into the city and just stroll down to the beach. A great activity for your Melbourne holiday is to drive around Port Phillip Bay, visit the beaches and bay-side towns along the way. Cross the bay via Ferry from Queenscliff to Sorrento. Within Melbourne there are great restaurants, cafes, strolls along the river, movies and theatres that will keep you going. If you are a food-lover let yourself experience the authentic culinary delights from different parts of the world. But even more special may be a romantic weekend away. Up the Yarra Valley you find wineries, fine restaurants and intimate places to stay. Similarly, Daylesford and the Hepburn Springs are the place for a romantic holiday. It is classy, full of pampering opportunities, great food - all within the natural beauty of the area. 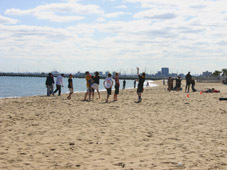 You can have an active sport holiday, or sport watching holidays in Melbourne. There are fantastic courses for golf holidays. You can go on bicycle tours or hire a yacht. Or you can enjoy one of the many adventure tours Australia. 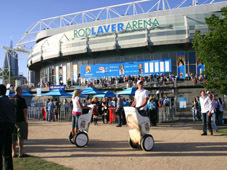 If you enjoy watching sports, join the Melbournes sports madness and take a tour to Melbourne to attend a special sporting event, such as the Australian Open, the Grand Prix, an AFL game or the grand final. 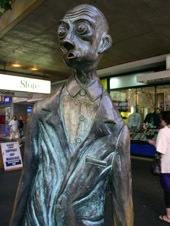 Melbourne is the arts and music capital of Australia. Make sure to visit some of the galleries and exhibitions, or indulge in the intimate atmosphere of a live music venue or concert. Visit the Melbourne Comedy Festival in April or find out whats on in the theatre. Then there is the real thing: the golden glow of sunset in the leaves of parks and gardens, the picturesque bay or the reflections of the winding Yarra that fascinated the painters of the Heidelberg school  or the layers of flaking render on the facade of a café. 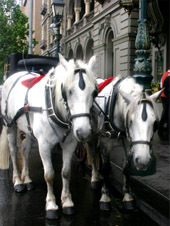 Make sure to include a trip to Melbourne in your Australia tour packages. Many of the major tour operators can help you organise specific Melbourne tour packages, including special passes to attractions and accommodation as well as those to special Melbourne events. Or for more personal service you can have your tour to Melbourne organised specially for you by a local experienced travel consultant who knows what to look for and has access to the special deals. 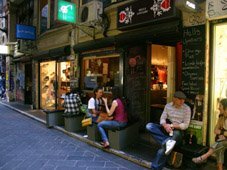 A Melbourne Holiday - if you are American a Melbourne vacation - is for many the beginning of a long love affair with a city that surprises with variety, friendliness and style.